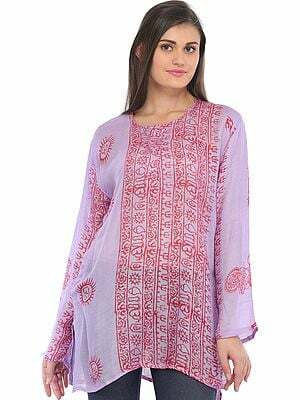 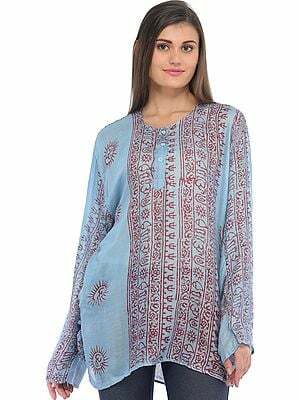 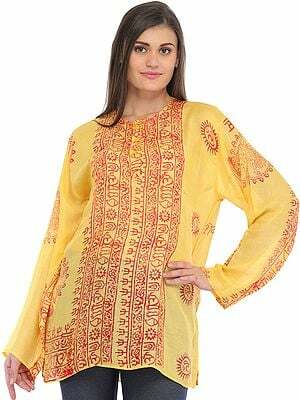 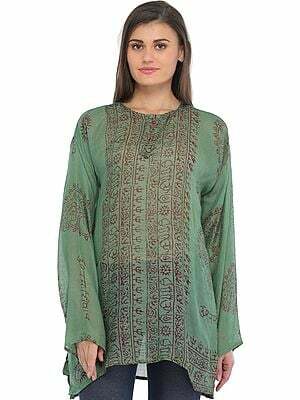 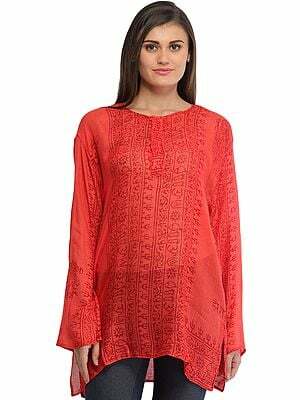 This one-of-a-kind kurti from the Exotic India collection will stand out in your wardrobe. 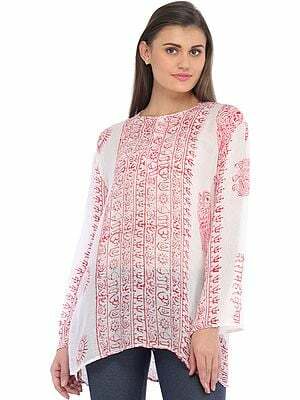 The superbly pale base colour sets off the bright red of the angular embroidery across the bust to perfection, seemingly held in by the sleekly done pleats. 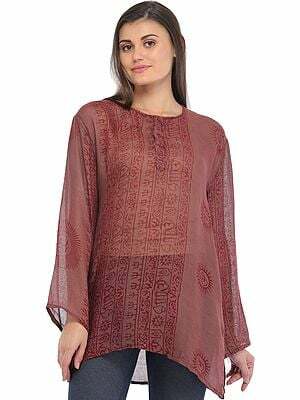 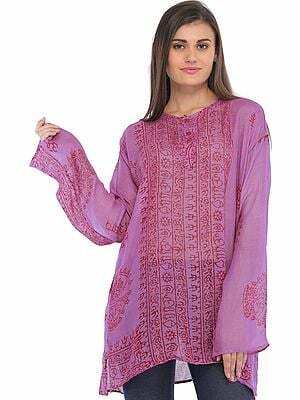 Note the soft georgette folds along the side of the kurti, right till the emergence of a seductive slit.